Social media isn’t just for fun anymore. More and more, organizations are using these sites to both recruit and evaluate applicants. Using social media to find a job requires some navigation—no two sites are exactly the same. The savviest job seekers are active on multiple social media platforms and understand the different expectations and tools that come with them. 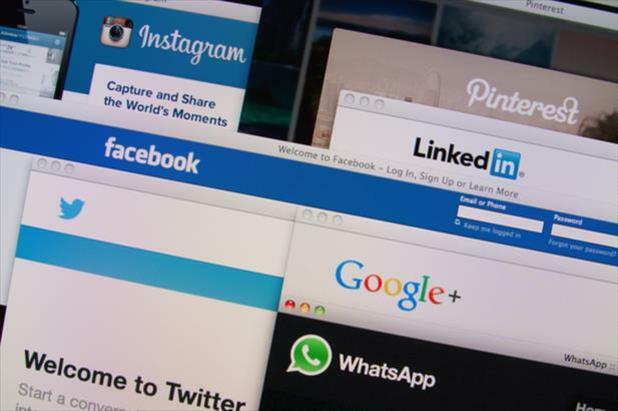 Use these features for each major social media site to put forward a winning strategy and catch employers’ attention. LinkedIn: Probably the first platform that comes to mind when you think about using social media to find a job, LinkedIn currently boasts 467M users across 200 countries/territories. The system offers solutions for making your information available to employers, staying up-to-date in your industry, and networking. Most importantly, though, more than 92% of recruiters search LinkedIn to vet candidates. Employer research: Company pages are designed with job seekers in mind. Most employers will focus less on day-to-day activities and aim instead to give you a sense of the organization’s workplace and mission. Networking: LinkedIn is an excellent tool for connecting with other professionals in your industry as well as managers and coworkers. The system allows you to easily send and receive industry articles, referrals, and skill endorsements. Username/URL: Always use your real name when signing up. A fake name not only makes you more difficult to find when employers search LinkedIn for you, but also flags you as trying to hide something. Once registered, you should change your profile’s auto-generated URL from the default string of random numbers to something straightforward. For better online visibility, try to customize the address with your name (for example, “https://www.linkedin.com/in/Joe-Smith”). Facebook: Facebook is the oldest website listed in this guide. Since its founding in early 2004, the site has grown into one of the most popular social media platforms. It is surpassed only by LinkedIn for its popularity as a recruiting tool. Employer pages: Most employers will post more regularly on Facebook than LinkedIn, making this a good site to get an understanding of their day-to-day activities and functions. For some organizations, you may even find job postings—check out the menu on the left for a “Jobs” tab to see if there are any current openings. Friends lists: While you should avoid posting potentially compromising information, friends lists can help protect your more personal information. Create separate lists for your professional contacts and personal friends. Then, when you share posts that aren’t relevant to building your job seeker profile, configure them to only be visible to personal friends, not employers. Twitter: A Twitter job search is geared toward real-time chats and moment-by-moment updates. Hashtags instantaneously sort billions of tweets into categorized discussions based on subject matter, making it a top venue for interacting with companies and adding your voice to industry-specific discussions. Handle: As most veteran Twitter users know, you can change your handle any time you want. If yours is unprofessional or difficult to remember, try changing it to something that won’t turn recruiters away. Hashtags: Because of the stringent character limit, keyword optimization is essential for building a Twitter job search. Luckily, hashtags let you identify industry-specific buzzwords and add your tweets to a larger conversation. Employer engagement: Participating in live Q&A sessions like #AskRyanair are easy, effective, and prove that you’re paying attention to company events. Use these opportunities to show your interest in a potential future employer by asking questions about the application process or role you’re interested in. Google+: Though Google+—also called Google Plus and G+—is available at the click of a button for anyone with a Google account, very few of these account holders actually use the site. But even though it probably isn’t the place to share vacation photos with hundreds of friends, Google+ is a great way to stay current on industry news and get your professional profile in front of employers. Circles: Join topic-focused groups to network with other professionals in your field and stay on top of industry trends. Search engine: 51% of companies Google candidates during the application process. Because Google’s systems are so closely intertwined, building and managing your presence on Google+ will improve your control over the top results those hiring managers will see. Pinterest: This highly visual site is continually growing its consumer base. Use Pinterest not only to promote yourself, but also to do a bit of research on job search strategies. Public Boards: Develop boards to represent yourself and your skills in creative ways. You might make one for previous places you’ve worked, for example, or another for pinning sections of your resume as infographics. Because Pinterest is an informal environment, you have significantly more leeway to break out of traditional formatting here. Private Boards: Make some boards private to gather information about the job search process or any graphics you aren’t ready to release to recruiters quite yet. Instagram: Like Pinterest, Instagram is primarily a visual platform. However, posts on Instagram don’t link to outside source articles and blogs. Culture: Get a feel for the workplace environment by investigating employee accounts in addition to company threads. This will give you a behind-the-scenes look at the company, not just what employers want you to see. Minimal competition: While Facebook and Twitter are increasingly popular venues for job seekers to engage with potential employers, Instagram has far less competition. Stand out from the crowd by interacting regularly with companies you’d like to work for—they may remember your name when you apply for a position in the future. Even if they don’t remember you right away, it’ll give you an icebreaker for your interview. Snapchat: Have many companies broken into the Snapchat community to disperse coupons, company updates, and other promotions? Yes. Should you connect to potential employers on Snapchat? Probably not. Expiration: Snaps expire after only a few seconds, so the company has no record of your engagement to pass from their social media representatives to Human Resources. Stories: Similar to how Facebook users build profiles, Snapchat users create stories for their followers to watch. However, the short amount of time each video or picture is visible for is rarely enough to make a strong positive impact on potential employers. It is enough time, though, to put yourself in a compromising position. Using social media to find a job always requires a heavy dose of discernment. At the very least, carefully consider everything you’re thinking about posting for inappropriate content before putting it out on the Internet. For a more polished approach to using social media during the job hunt, however, you must take the most unique and highly publicized features of each platform into account. From Facebook job postings on company pages to Twitter live Q&As, social media tools could give your job search the boost it needs for you to succeed.